Those who have discolored or white spots on their nails are likely suffering from a form of leukonychia. This condition occurs due to a wide range of underlying influences, including various types of serious diseases. In and of itself it is rarely a serious problem. However, it can be an indicator of more serious concerns that need to be treated. 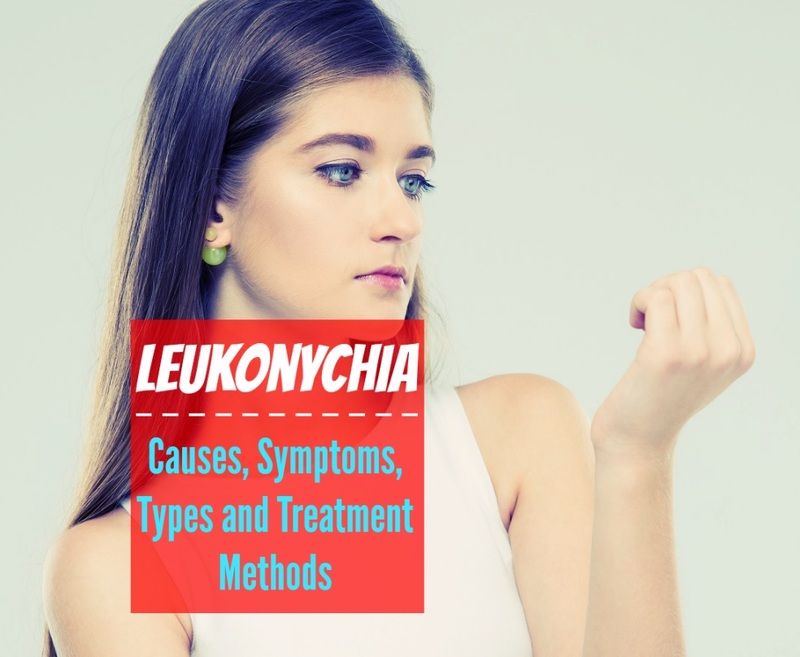 In this article, you will learn more about leukonychia, its causes, the symptoms of this disease, treatment methods available, and when you should see a doctor. Understanding all of this information will prepare you for the worst if this condition is caused by a more serious problem. These white spots are usually not painful or tender to the touch in any way. They are typically a surface-level concern that lasts for a brief period and often quickly go away. That said, they may often last for much longer and even grow in size. That’s because the causes of these spots vary from minor injuries to more severe conditions. This essential information will be found in the causes section. Here, you can better understand why this whiteness is occurring and what problems it heralds. For example, a person who bites their nails often suffers from this problem by damaging their nails during their growing period. It is also possible to injure the nail by cutting them improperly or jamming it against a hard surface. When this happens, the whiteness should go away fairly quickly. However, recurring leukonychia that disappears and comes back can be the symptom of a dietary deficiency. The type of defect will vary depending on your defect. For example, people who don’t get enough calcium in their diet may end up with these problematic spots. Changing your diet should be more than enough to handle this problem. Some, like lead or arsenic poisoning, have other severe symptoms that make them easier to spot. However, problems such as pneumonia, heart disease, renal failure, and psychogenic stresses, are harder to identify and may go untreated for a long time. That’s why it is essential to understand the symptoms of these problems and to gauge the severity of your leukonychia. Spots can come and go without warning over a period of a few days. They may also shrink in size and grow at various points. These spots may also change their position on the nail. Another common symptom of this condition is white lines that appear along the side of your nail. These lines are different than the spots and may increase in color, texture, and width. Often, it is possible to see these lines on just about every nail on your hand or foot. When they shift in size and color, a more severe problem is likely causing your leukonychia. Surprisingly, other symptoms are familiar with those who are suffering from this condition. For example, they may suffer from problems like hearing impairment, sore gum tissue, and even deformed toes or fingers. Typically, the latter problem is only an issue in severe cases of leukonychia. That’s because there are several types of this disease that you need to understand before assuming all cases are the same. Like most types of disease, leukonychia is not a single condition. It appears in many different variations and is influenced by many issues. To better understand the influence of this disease on your health, it is important to break down these varieties and give you a detailed understanding of the ways they vary and what types of issues cause them to occur. This variation is typically considered either an acquired or hereditary disease. These classifications state where the problem begins on the nail. On the other hand, hereditary leukonychia is caused by people who inherit a predisposition to these spots. For example, a person may have a family history of iron deficiency. As a result, they are more likely to suffer from this condition. Both acquired, and hereditary types are broken down into categories based on where the spots are located. These classifications include on the surface of the nail, on the side, or a complete whitening of the nail. It can be both a hereditary and an acquired condition. It is a problematic situation because it is typically a symptom of problems like renal failure and acute liver failure. As a result, it is important to get this type checked out as soon as possible. It typically occurs as white spots across the surface of the nail. It is typically the easiest type of leukonychia to treat because less severe problems usually cause it. There are even more variations of this type that need to be discussed before you have a full understanding of this problem. This variation, often known as Mee’s Lines, is a series of stripes that run along the surface of your nail. They should run parallel with the natural lines of your nail and are quite easy to spot. Typically, Mee’s Lines are an indication of poor liver function, chemotherapy, arsenic poisoning, typhoid fever, kidney failure, and even heart attacks. However, the most common cause is nail damage that will slowly heal over time. Treatment methods for this disease are sometimes hard to diagnose. There is no universal treatment for leukonychia because of its myriad of potential causes. However, less severe partial leukonychia is treatable by taking various forms of vitamin supplements. For example, those who believe that they are iron deficient can take supplements of this mineral to decrease the size of their spots. Time is often the best treatment for this disease because it will typically go away in two months if more severe influences aren’t involved. Most of the time, leukonychia is not serious enough to require a trip to the doctor. But it is important to take this condition seriously because of the more severe conditions that it could indicate. At this point, you need to visit a doctor and get your condition checked. Here, they will take some blood tests and also examine your liver and kidney functions. It is possible that they could spot problems that lead to leukonychia, such as zinc and iron deficiency, by testing your levels of these items in the blood. They are also likely to go through your medical history and talk to you about any problems that may have recurred in your family. For example, a history of heart disease may indicate that you are in the early stages of a more serious cardiac problem. In these cases, leukonychia may be a warning sign that you are about to have a form of cardiac arrest or even a stroke. While leukonychia is usually not a serious concern, it may herald more problematic conditions. That’s why it is important to take this condition seriously and to get it checked out as soon as possible. By following these simple steps, you can more quickly get the accurate treatment you need to manage this health risk and to eliminate any danger it may cause in your life. Don’t hesitate to take the necessary steps for managing this disease.